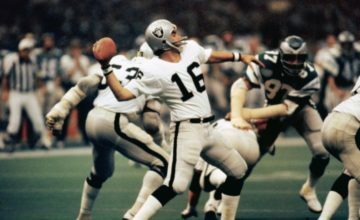 FORT WORTH, Texas (Oct. 1, 2018) – Six juniors and two seniors comprise the eight honorees on the Davey O’Brien Award’s “Great 8” list for week five, the Davey O’Brien Foundation and Punt & Pass Podcast jointly announced on Monday. 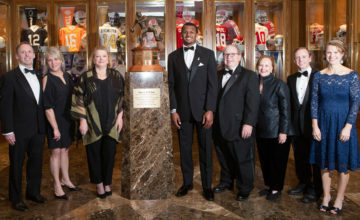 The eight honorees, as determined by voting from the award’s selection subcommittee, are: Ian Book of Notre Dame, LSU’s Joe Burrow, Will Grier of West Virginia, Fresno State’s Marcus McMaryion, McKenzie Milton of UCF, Oklahoma’s Kyler Murray, Nathan Rourke of Ohio and Western Michigan’s Jon Wassink. All FBS quarterbacks are eligible for the weekly honor. Thus far, 30 different quarterbacks have been named to the Great 8 in 2018. 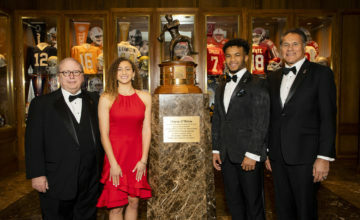 Murray leads the nation after securing his fourth honor, while Book, Grier and Milton became two-time recipients this year. 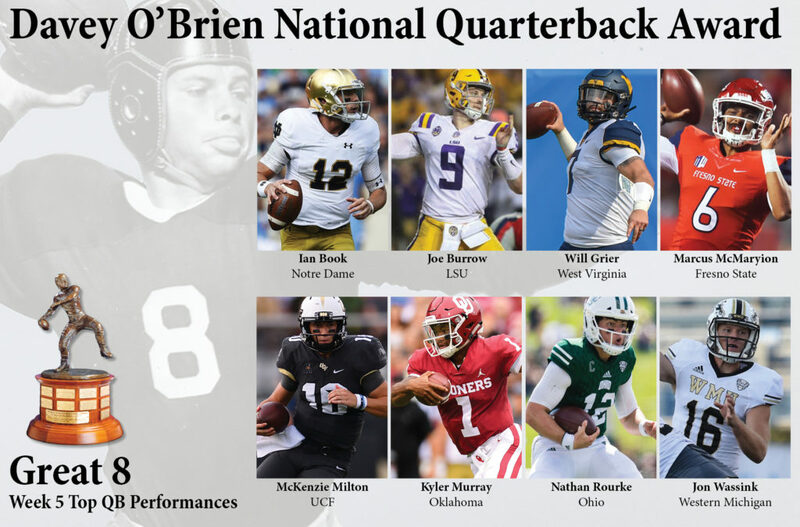 The winner of the Davey O’Brien National Quarterback of the Week Award, which will be one of the week’s “Great 8” quarterbacks, will be announced Wednesday. To listen to the announcement and discussion of this week’s Great 8 on the Punt & Pass Podcast, click here. Was 24-for-33 for 278 yards and four touchdowns through the air, and added 47 rushing yards, in an impressive 38-17 victory over No. 7 Stanford. Accounted for nearly 400 yards of total offense (292 passing, 96 rushing) and four touchdowns (three passing, one rushing) in a 45-16 win versus Ole Miss. Connected on 27 of 41 pass attempts for 371 yards and three touchdowns with no interceptions to lead the Mountaineers past No. 25 Texas Tech, 42-34. Marcus McMaryion, Fresno State, Sr., 6-2, 203, Dinuba, Calif. Completed 24 of 31 passes for 368 yards and four touchdowns and also had a ground score in a 49-27 victory over Toledo. Totaled six touchdowns (four passing, two rushing) and 379 yards (328 passing, 51 rushing) in a 45-14 rout of Pittsburgh. Threw more touchdown passes (6) than incompletions (17-for-21, 432 yards), and added 45 rushing yards and a score, in a 66-33 triumph over Baylor. Carried 16 times for 189 yards and a touchdown and was 23-for-32 throwing for 270 yards and three TDs in a 58-42 victory over UMass. Jon Wassink, Western Michigan, Jr., 6-2, 200, Grand Rapids, Mich.
Was 27-of-42 for 439 yards and five touchdowns, including four in the second half, and had 38 rushing yards and a score in a 40-39 comeback win over Miami (Ohio).